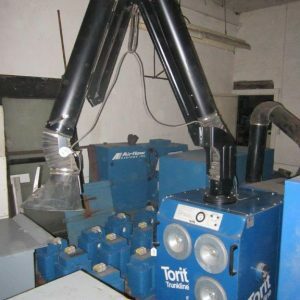 Portable dust collectors are used everywhere particle, dust, fume, and smoke collection is required, but are most commonly found in smaller operations where it is more cost effective to have several smaller dust collectors set up at each work station. A portable dust collector can be used on mobile job sites as well as applications where weight is a factor, such as on ships, and planes. These units can often times be a quick, inexpensive, turn-key dust collection solution. 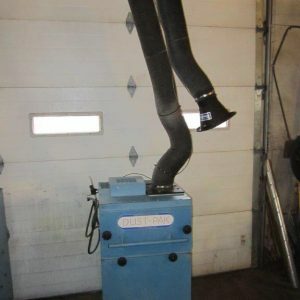 Because of their relatively low cost, ease of maintenance, and out of the box function a portable collector is often times the dust collector of choice for small wood shops and other areas with limited real estate, start-ups who need the safety of dust collection, but are not ready to, or do not yet need, a larger scale dust collector, and mobile or portable job sites. The downside to portable units is very low efficiency and an increased frequency of emptying the dust collection bag. Another is there is no self cleaning. Third, they typically operate at extremely high air to cloth ratios.